We released the next version of Zircon this week! More about it here. The first version of the project is now released! We’ve moved the ECS(ish) library to its own project: Amethyst. This is in BETA right now, but it will be production ready soon. If Ashley was simple than this is super-simple, it only has like 10 classes right now but it gets the job done. In the game itself the Player was nerfed a bit, and the monsters were buffed. 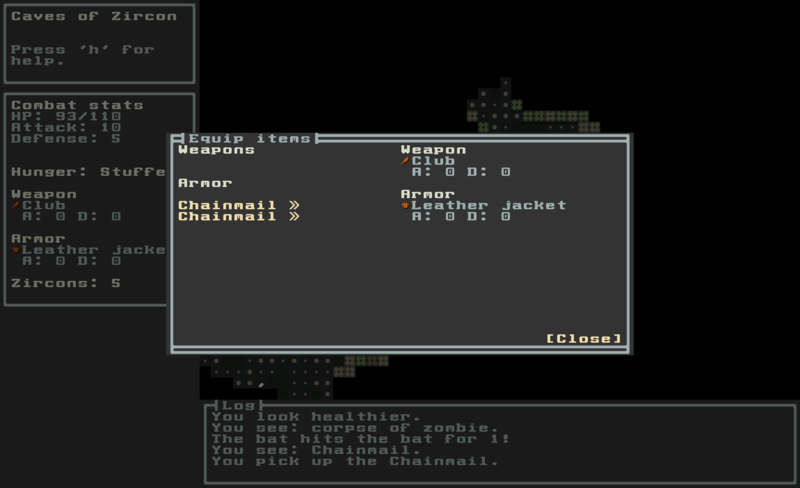 The inventory and the equipment screens were separated. 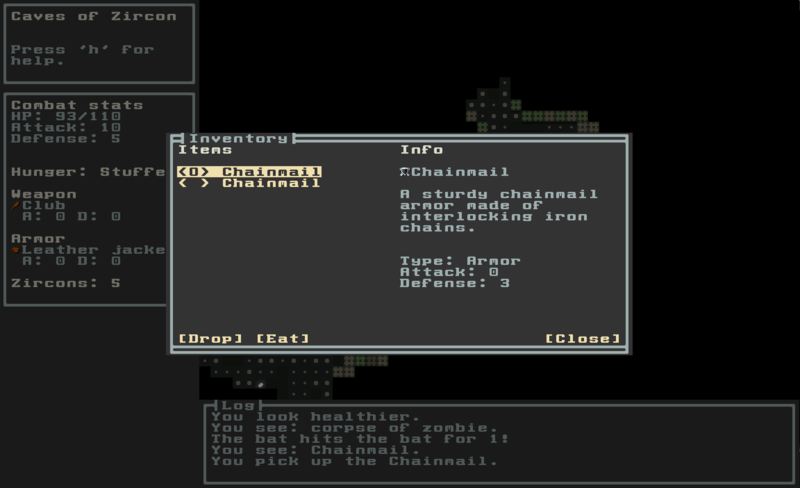 This is how the equipment screen looks now and this is the new Inventory screen. The goals were also re-aligned, so now the goal is to find the exit and gather as much Zircons as possible along the way while keeping yourself alive against the onslaught of bats, zombies, and hunger.